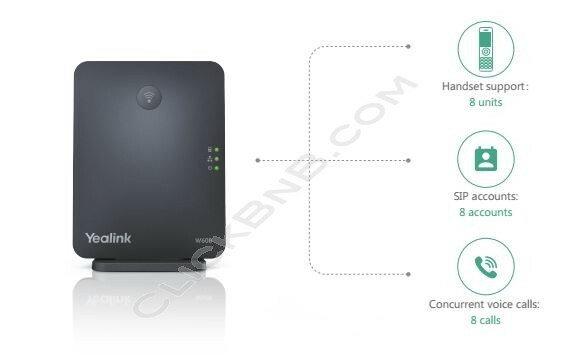 The Yealink W60B is the DECT IP base station for small and medium-sized businesses. 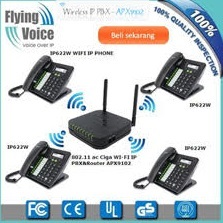 Paring with up to a total of 8 Yealink W56H DECT handsets, the W60B allows you enjoy mobility and flexibility. A powerful chip ensures a better and higher performance, allowing this DECT IP base station to support up to 8 VoIP accounts and 8 concurrent calls. Designed with a modern and elegant style, this compact DECT IP base station possesses a wire-hidden design, with the option to be wall-mounted. By supporting Opus codec, Yealink W60B consistently delivers excellent and professional audio quality in both high-bandwidth and poor network conditions.